With the Washington Redskins name controversy commanding the spotlight, and the recent events involving Donald Sterling, I keep thinking about an incident George Taliaferro shared with me in The Game before the Money. 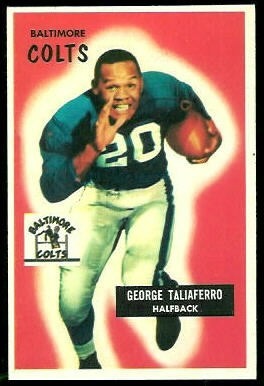 Taliaferro played seven positions throughout his NFL career, earning Pro Bowl honors three times. He became the first African American drafted by an NFL team when the Chicago Bears drafted him in 1949. It’s compelling to ponder what might have happened if Marshall said those words today, and how that would have impacted the movement to change the team’s name.